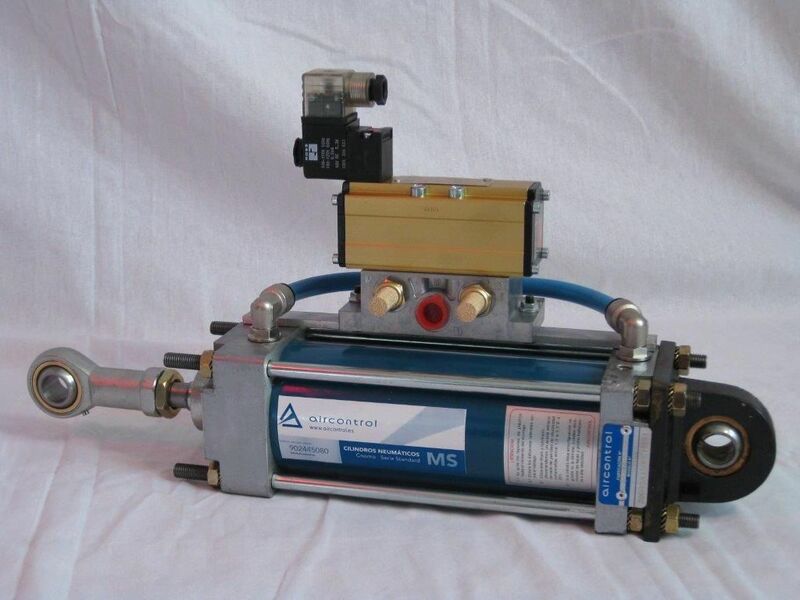 Pneumatic cylinder / with integrated solenoid valve / aluminum - MS series - AirControl Industrial S.L. Power Transmission - Mechanical components > Actuator and Positioning System > Pneumatic cylinder > AirControl Industrial S.L. MS series AirControl Industrial S.L. The MS series, which are manufactured by Aircontrol, are pneumatic CNOMO cylinders. They are ideal to use in saw mills, quarries, cement factories, and even in the metal industry. They are CNOMO standard compliant, and are resistant to rust. The units are obtainable in diameters ranging from 25 mm, and up to 300 mm and with any stroke length.